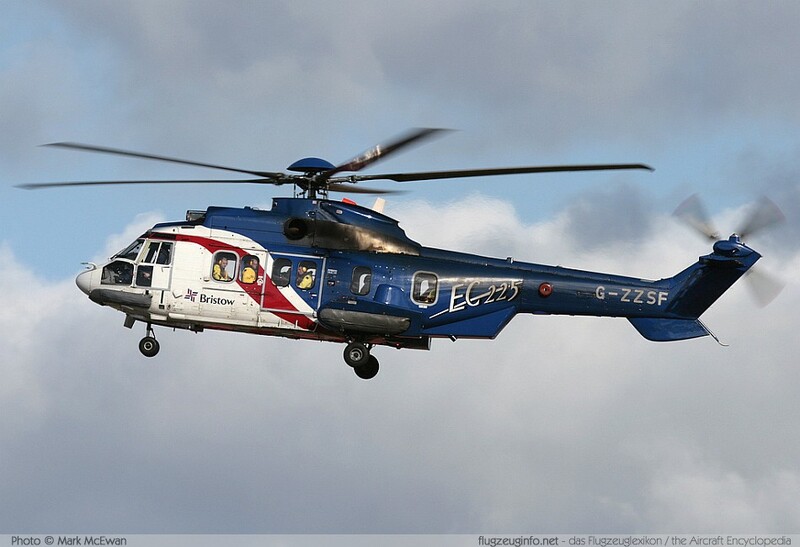 The Eurocopter EC 225 Super Puma / AS 725 Cougar is a twin-turboshaft-engined medium utility transport helicopter produced by the European manufacturer Eurocopter. The EC 225 Super Puma is primary used by civil operators for offshore passenger and material transportation to oil- & gas rigs and for search and rescue service (SAR). Helicopters in military duty are designated EC 725 Cougar. The EC 225 is a development of the Aérospatiale / Eurocopter AS 332 with slightly stretched fuselage length and a five-blade main rotor.